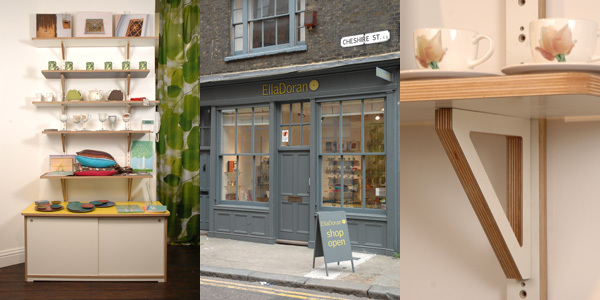 Jon Almond from Superblue has been working with Ella Doran this summer to redesign and revamp their office and shop on Cheshire Street in East London. A fresh new interior and a range of unique display furniture have been created. Using CNC cut laminated birch plywood to create an adaptable display system. 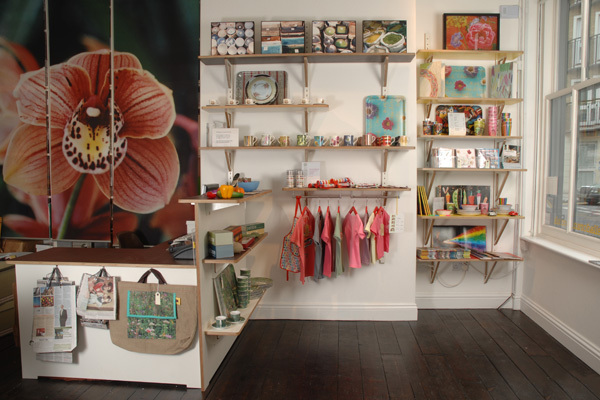 Shelves use different laminates on different sides so displays can be easily adapted just by the flick of a shelf. 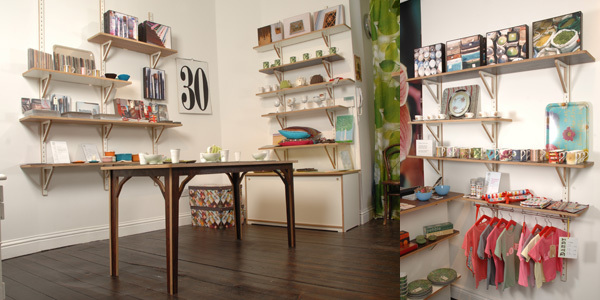 A bespoke dining table sits in the middle of the space to display the many tableware items sold at Ella Doran and is available to be commissioned. Storage, desks and countertops were created to provide a retail and work space for Ella Dorans team. The shops walls and floors were also painted and stained to contribute to this bright and fresh new look.